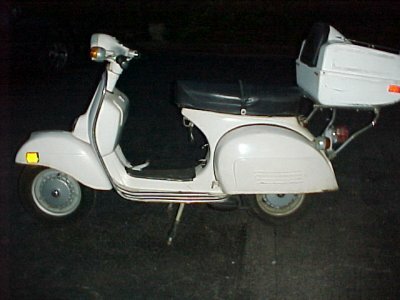 The 200 Rally (VSE1) was introduced in 1973 and was the top of the line model of the 70s, with major improvements such as the electronic ignition. 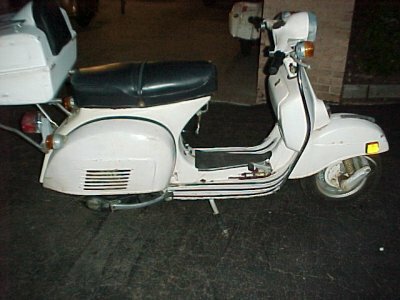 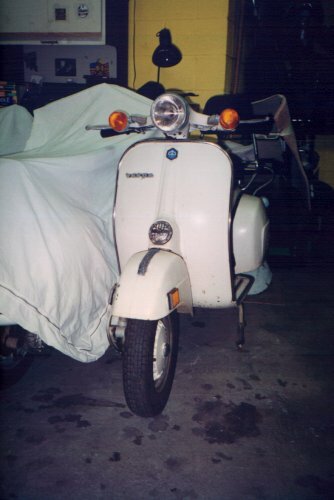 There was briefly a 180 cc model (VSD1). 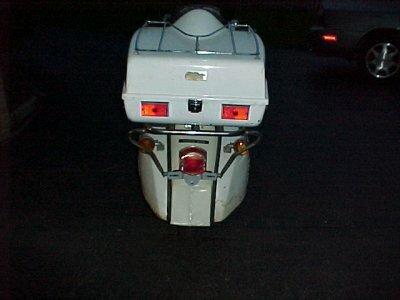 The spare tire disapeared under the left hood and the space behind the windshield was now used for a glove compartment. 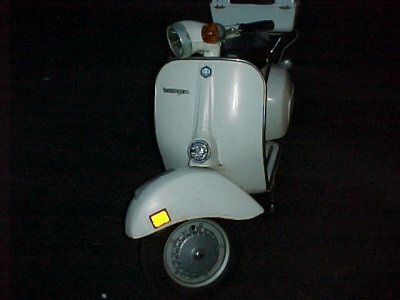 Later models even sported an ignition switch in the head light (reminiscent of the 150 GS). 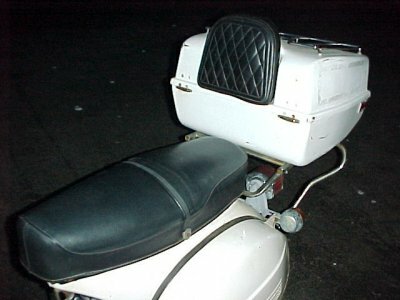 Press HERE to return to my scooters.